Steve Blake was only recently traded to the Golden State Warriors, but he sure thinks highly of his new team. On Tuesday, Blake went on the Murph and Mac show on KNBR and showed his excitement about joining a winning team. The Warriors were certainly excited about acquiring Blake too. When they traded for him, they acquired a player with a high basketball IQ and a strong work ethic. Blake attributes his basketball knowledge to getting the chance to play with some great teammates over his 10-year NBA career in which he’s played for seven different teams. He’s played with Allen Iverson, Carmelo Anthony, Kobe Bryant, Gilbert Arenas, and Brandon Roy, and he also credits all the great coaches he’s played for with developing his basketball IQ. Based on his experience, he knows that team chemistry can take a basketball team far. Blake won an NCAA Championship while he played at Maryland, and he credits that championship to the team’s commitment to playing together. He sees that same team chemistry with the Warriors. He mentioned in his interview how impressed he was with how close the players are off the court and how they truly enjoy being around each other. Read the rest of the article on Let’s Go Warriors. 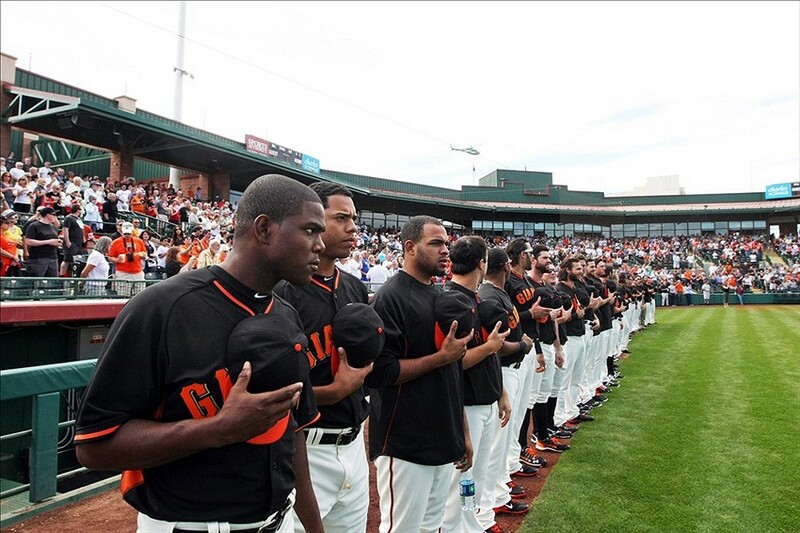 Spring Training is finally underway for the San Francisco Giants. They had their first Cactus League game yesterday, and it’s time for players to start competing for playing time or a spot on the 25-man roster. 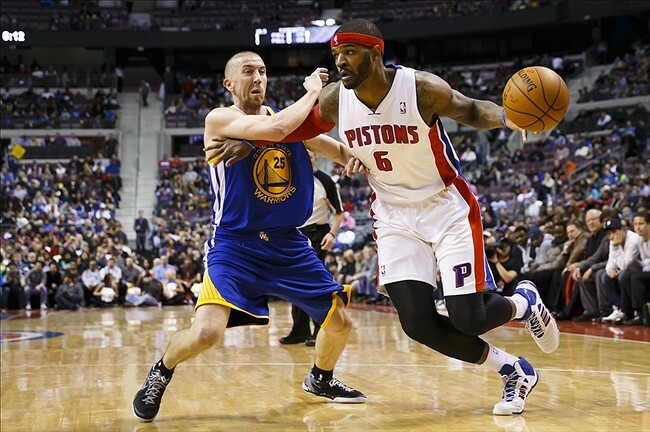 For the Golden State Warriors, the win last night over the Detroit Pistons wasn’t perfect. 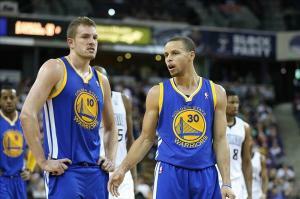 Their superstar, Stephen Curry, struggled to shoot the ball as effectively as he normally does. Their defensive anchor, Andrew Bogut, who had been out the past seven games with an injured left shoulder, wasn’t the dominant, defensive center that he normally is. 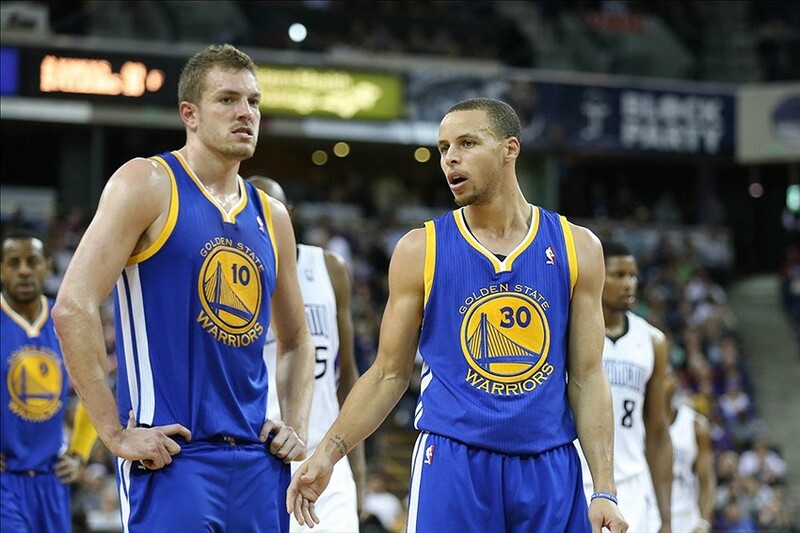 Their double-double machine, David Lee, was out with the flu. However, the Warriors found a way to win because of their bench. The Warriors’ bench production has been heavily criticized this season, but in the past few games, the bench has made significant contributions to the Warriors’ wins. On February 20th, the Warriors beat the Houston Rockets 102-99. 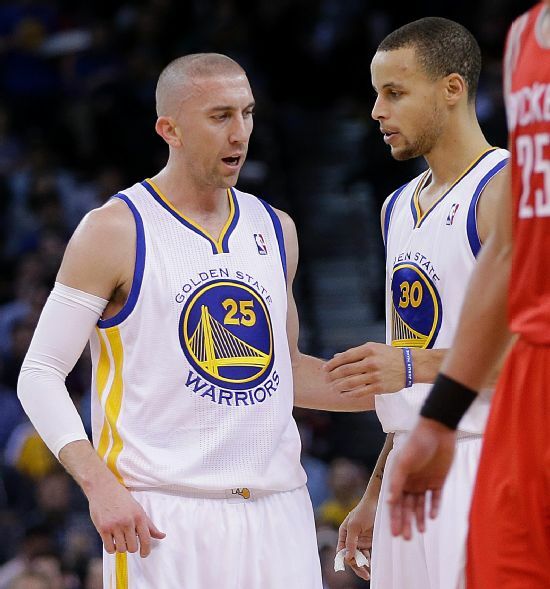 Steve Blake made his Warriors’ debut during that game. Although he scored just three points, Blake admirably led the second unit in the Warriors’ win, despite not having even one practice or shootaround under his belt. 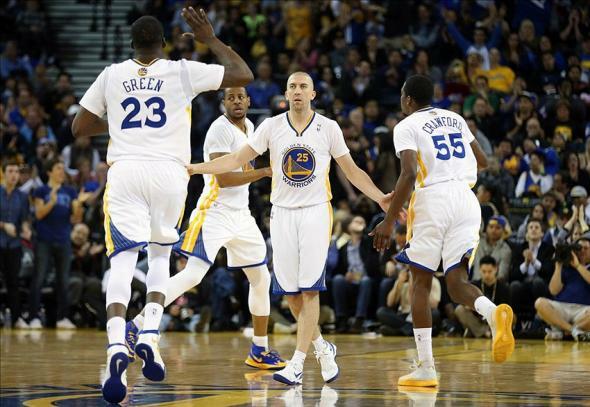 Jordan Crawford also contributed to the Warriors’ win over the Rockets with his 12 points on 4-for-8 shooting. 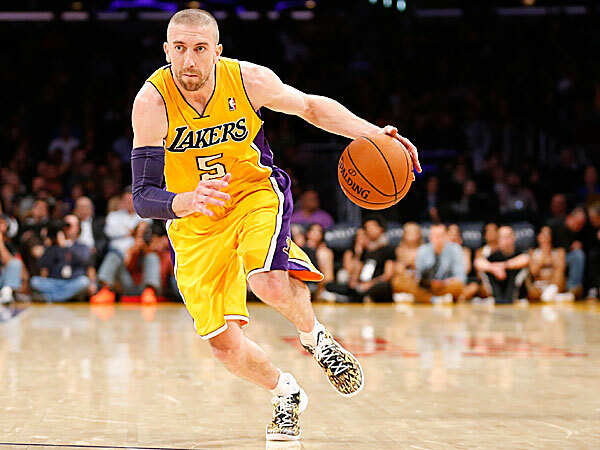 In Part One of this article, we discussed how the Golden State Warriors’ trade for Steve Blake will help the Warriors on the court. Blake will strengthen the bench with his three-point shooting, his ability to run an offense, and his ability to play off the ball. His presence will also help Jordan Crawford’s production and will allow Stephen Curry and Klay Thompson to rest more. Today, we will look at Blake’s personality and some intangible benefits he will bring to the Warriors. In addition to his contributions on the court, Blake brings toughness and a solid work ethic. His first basket as a Warrior beat the first quarter buzzer. Blake finished the game with three points and one assist in 17 minutes. Bazemore was a large part of the Warriors’ strong team chemistry, but Blake should mesh well with this Warriors team and their team chemistry in a different way. But for a team that’s ailing so much with an injury-depleted backcourt, Blake’s departure provided one huge dent. When he stepped on the court, however, his personality changed. When the Golden State Warriors announced on Wednesday that they had acquired Steve Blake from the Los Angeles Lakers yesterday in exchange for Kent Bazemore and MarShon Brooks, it was a bittersweet moment for the players in the Warriors’ locker room. Bazemore was the heart and soul of this Warriors team. However, Bazemore struggled to recapture the magic that he displayed in the NBA Summer League prior to this season. Even though it’s hard to see such a spirited, passionate player like Bazemore go, this was the right move for the Warriors. There are many benefits to this trade. First of all, this was a smart trade from a financial standpoint. With this trade, the Warriors were able to stay under the luxury tax, and they were able to preserve their $9.8 million trade exception. Blake is set to become a free agent at the end of this season. His $4 million contract this season was absorbed by the Warriors’ trade exception that was created in the Andre Iguodala trade. Also, by trading two players for one, the Warriors now have one open roster spot. The flexibility of an open roster spot has underrated value. If the Warriors want to add one more player later on in the season, they won’t have to cut anyone. They can simply add a player to their active roster. Second, Blake’s style of play will fit in well with the Warriors. He’s a tough, gritty player who can handle the ball, play off the ball, initiate the offense, find open teammates, and shoot threes. The Golden State Warriors’ first half of the 2013-2014 season can be described as…underwhelming. 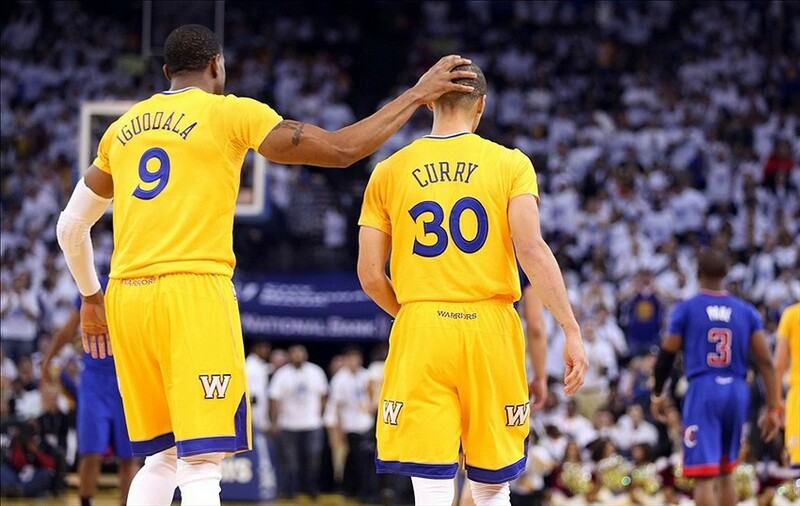 At first glance, the Warriors haven’t had a disappointing season at all. They currently have a 32-22 record. However, given the immense amount of talent on this team, the Warriors could certainly improve and have a better record, especially given the fact that they boast one of the best starting lineups in the NBA. Many NBA fans and analysts had high expectations for the Warriors this season, and some even believed that they were championship contenders. That might’ve been a little premature, but the Warriors, despite some underachieving, still have a great chance at making the playoffs and possibly moving up into the top four or five in the Western Conference. If they want to secure home-court advantage in the playoffs, although it might be difficult, the Warriors need to improve in several areas in the second half of the season. First of all, they need to play better at home. The Warriors’ record at home doesn’t look too bad. They currently have a 16-10 record at Oracle Arena. However, the Warriors boast one of the best, if not the best, home court advantage and the best fans in the NBA. Warriors fans are known for being raucous, loud, energetic, and extremely passionate. The Warriors sometimes appear complacent when playing at home, as they assume that they will get easy wins because of their quality crowd. The Warriors can’t make these types of assumptions, and they need to compete hard every night. Of course, this is easier said than done. The Warriors need to play with more effort at home in the second half. Speaking of making assumptions, the Warriors have also had a bad habit of playing down to their competition. Often when they play a team with a lesser record than theirs, they don’t play as dominantly as they could. On several occasions, they lose these games because they didn’t take their competition seriously. On the flip side, they play up to their competition as well. In theory, this is a good characteristic, but it promotes an inconsistent playing style. The Warriors have been able to beat elite teams like the Miami Heat, Oklahoma City Thunder, and the Los Angeles Clippers, but they have lost to teams they should’ve beaten like the Charlotte Bobcats and the Washington Wizards. As Jermaine O’Neal told Diamond Leung of the Bay Area News Group, the Warriors need to fight for each game and show how badly they want to win. “There’s 29 games left, and I’ve said all along that this team, we’re going to be a reflection of what the players put into it,” O’Neal said. “I know it’s been a lot conversation about Coach Jackson, and to me it’s the most ridiculous thing I’ve heard, because at the end of the day, the players have to have a certain type of will. If the Warriors want to have a strong second half of the season, this inconsistent play needs to stop. The elite teams have off nights, but they find ways to beat teams they should beat and play well every night. The Warriors need to prove that they can play on that level. In order to have a successful second half, the Warriors also have to find a way to limit their turnovers, which they have struggled to do all season. Turnovers are to be expected in the NBA, but the Warriors need to limit the sloppy, careless, and avoidable turnovers that lead to easy buckets for their opponents. Those are the types of turnovers that kill momentum, slow the game down, and decrease a team’s chances of winning. Those are the types of turnovers that the Warriors need to cut down on if they want to have a strong second half. Lastly, one of the most important factors in order for the Warriors to have a successful second half is health. The only Warriors that have played in all 53 games so far this season are Draymond Green, Marreese Speights, and Klay Thompson. When Stephen Curry, Thompson, Andre Iguodala, David Lee, and Andrew Bogut all start, the Warriors have won 69.7 percent of those games. Those five players have only started together in 33 games this season though. Despite all these games missed by the starters due to injuries, the Warriors are still in the playoff hunt. That’s the good news. In terms of goals for the second half of the season, Mark Jackson has said that the Warriors want to build on the lessons they’ve learned in the first half of the season, hit their peak near the end of the season, and then ride that momentum as long as they can in the playoffs. Curry shared that same sentiment with Rusty Simmons of the San Francisco Chronicle. “We’re trying to secure our spot in the playoffs and make some noise,” point guard Stephen Curry said. “The goal is obviously to represent the Western Conference in the Finals, so that’s on the horizon for us – if we take care of business. If the Warriors can bring more effort in their home games, play hard every night against any opponent, limit their careless turnovers, and stay healthy, the Warriors will have a strong second half and will ride that winning momentum into the playoffs. 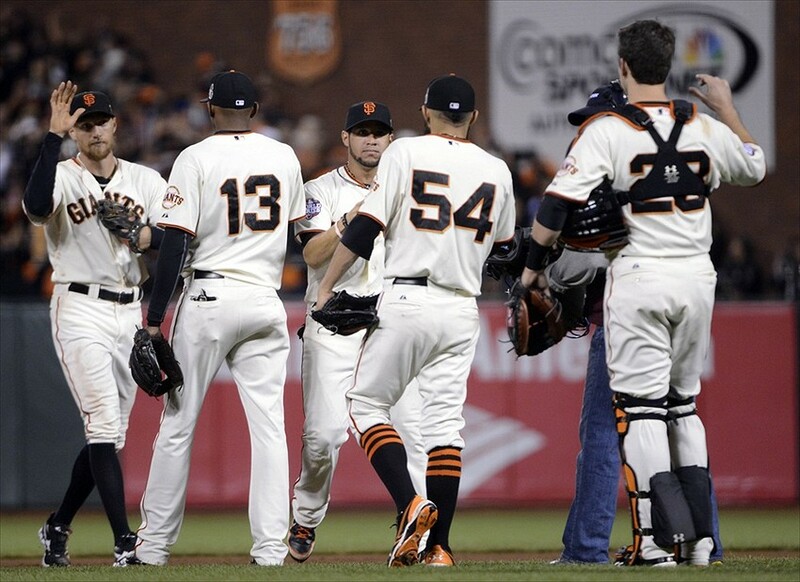 After a disappointing 2013 season, the San Francisco Giants knew they’d have to improve in the offseason. They signed Michael Morse and Tim Hudson, in order to address some of their weaknesses. The Giants have made improvements to their roster, but there are still a few position battles that need to be resolved before Opening Day.